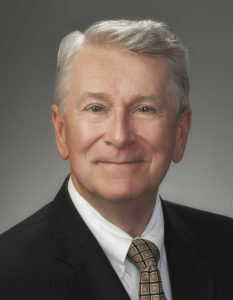 The School Employees Retirement System of Ohio (SERS) is the state’s third largest public pension fund for non-teaching public school employees. Our employees are dedicated to their roles in Serving the People Who Serve Our Schools®. SERS offers competitive compensation and an excellent benefit package. SERS employees enjoy an employee-friendly, flexible, and inclusive work environment. The Mission, Vision, Values, and Core Beliefs of the organization are visible in all aspects of daily life for staff and leadership. These values are the foundation for our business operations, organizational culture, and how we provide service to our membership. As a recent new hire myself, I can attest that SERS offers a great opportunity for people who want to work in a supportive, mission-centric environment. Service is our middle name whether it’s to our membership, our employers, our coworkers, or any of our other stakeholders. SERS employees always do their best to be the best – no matter what their position. I’m proud to be one of the team. And so could you. No matter what your role at SERS is, as a staff member you play an important part in the lives of many SERS members, retirees, and beneficiaries. As a public pension fund, service is an important part of our business. The organization’s success is dependent on the talent and dedication of all our staff members to our mission of providing our membership with valuable lifetime pension benefit programs and services. SERS has been recognized for delivering an exceptional level of customer service through a culture of collaboration, openness, innovation, and transparency. With a strong sense of community, SERS employees are valued and empowered to do their work and serve our membership. Serving others makes us who we are. SERS staff supports multiple charities throughout the year including American Red Cross, Operation Feed, United Way, Volunteers of America Operation Backpack, Operation Gratitude, Mid-Ohio Foodbank, Meals on Wheels, Salvation Army Angel Tree, Capital Area Humane Society, and a variety of other local charities. I have been with SERS for nearly 8.5 years. SERS is a quality organization that encourages personal development, has a positive culture and a gracious work-life balance. Over the years I have learned many different duties and now as a Counselor, I’m helping members make informed decisions about their retirement. After 20 years with SERS, I still find myself engaged and learning daily. I have the support I need to evolve and adapt within the healthcare field to support the membership with the service that they deserve. Returning to public service at SERS has been a perfect opportunity to blend recent financial and profitable IT skills into what best serves our members to live long and prosper. SERS is open and supportive, allowing us to use innovation for modernizing service to our members and retirees. My career at SERS has allowed me the opportunity to help educate members on one of the most important lifetime decisions — RETIREMENT! After 18 years in public service with SERS and another employer, SERS offered me a place to grow. As a result, I’ve been able to help my staff develop their skills and better serve our membership. SERS is proud to be an equal opportunity employer. If you require reasonable accommodation for any part of the application or hiring process due to a disability, you may submit your request by sending an email to hr@ohsers.org or by calling (614) 340-2255. This option is reserved for individuals who require accommodation due to a disability. Applicants who smoke or use tobacco products will not be considered for employment.